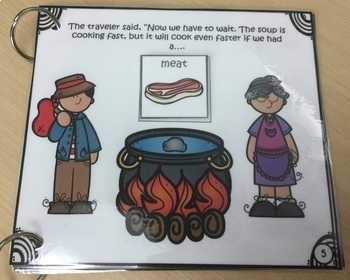 Read the story of a hungry traveler who teaches a little old lady how to make "stone" soup, all while getting plenty of speech practice! 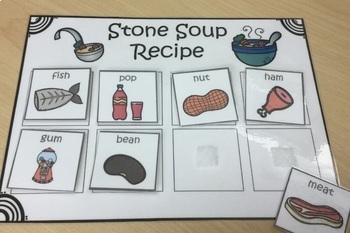 This interactive retelling of Stone Soup is adapted to practice phonemes in all positions, as well as syllable shapes for apraxia. That's nearly 500 high-quality artic pictures! A supplementary recipe card is provided for the child to choose each ingredient as you read the story. 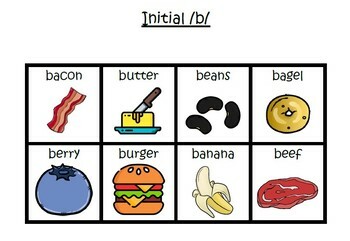 Additionally, use the recipe card to work on generalization tasks after the story- e.g. 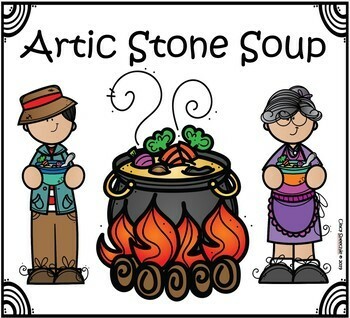 "My stone soup had [x]"
This can also be a great activity to print out in b&w and send as homework or extra practice.